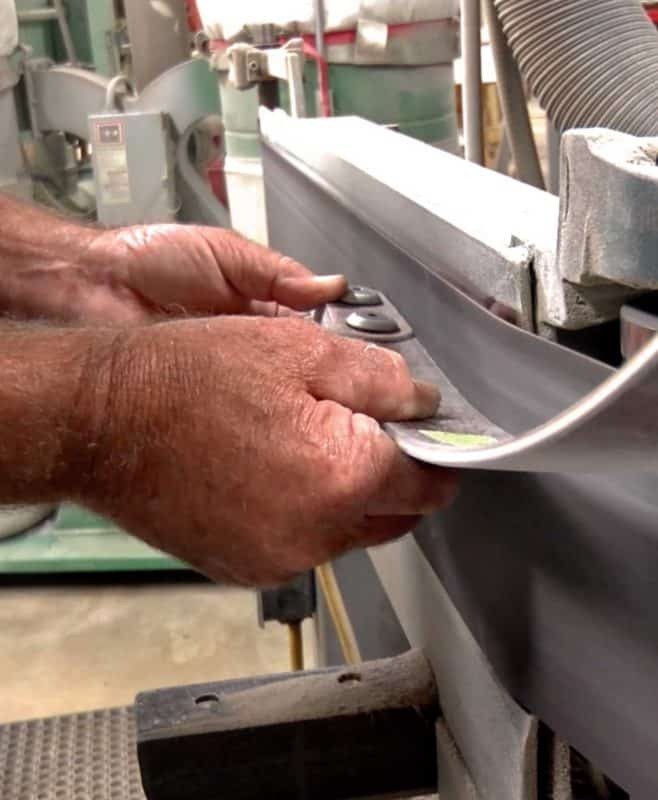 Our weight reduction service allows us to remove – on average – 3 to 5 pounds from the draw weight of your Bob Lee limbs, and includes tillering to your shooting style, fresh silkscreens, a new string and FREE SHIPPING back to you. The amount of weight removal varies from bow-to-bow, depending on a couple of factors: basically, length and width. The more overall surface area the limbs offer, the more material we can remove from each side of the limb, which translates into a greater reduction opportunity. Reducing weight on a set of traditional bow limbs can pose various levels of risk. As such, this should never be attempted as a do-it-yourself job (“Please don’t try this at home”). We carefully inspect each bow to determine whether weight reduction is viable – and to what degree we can reduce the poundage. If we feel the integrity of the bow is at risk, we will not proceed. You would then be responsible for return shipping. We do not offer a standalone warranty on modifications. Your original warranty, if still in effect, does remain valid after this work is completed, but only under the original terms of that warranty. Those terms do not pertain to future problems attributed to a weight reduction. That said: we have been providing this service for decades without issue. It is necessary for us to receive your limbs AND handle, but only those three pieces (handle and two limbs). We ask that you do NOT send your bolts, gaskets, wrench, string or any additional pieces or parts with your bow. Interested in restoring your bow’s exterior while it’s in our shop? Get more information on our Refinishing page.